The Duke of Cambridge is participating in discussions on the environment and mental health at the 2019 World Economic Forum in Davos, Switzerland. 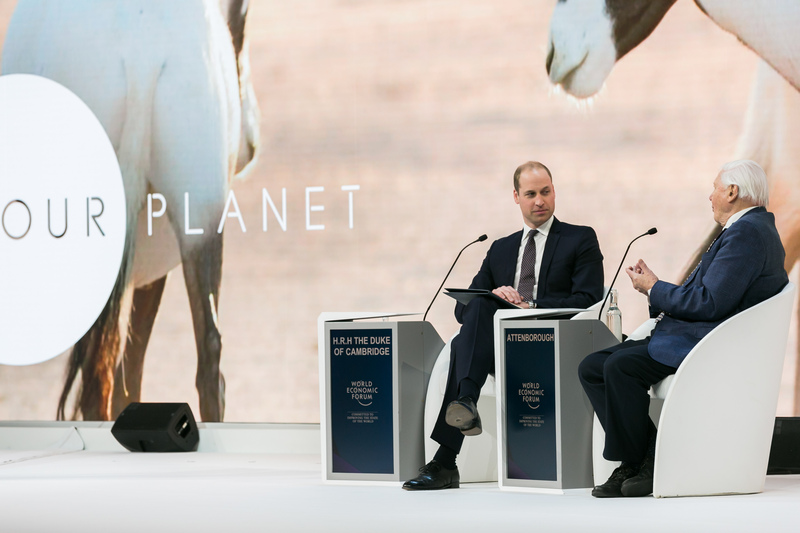 The Duke of Cambridge took part in a conversation with Sir David Attenborough on-stage at the Forum. They discussed Sir David’s decades of work highlighting the importance of the natural world and the urgent challenges and opportunities that will face the next generation of environmental leaders. If we damage the natural world, we damage ourselves. The Duke of Cambridge joined New Zealand Prime Minister Jacinda Ardern for a 'Mental Health Matters' panel discussion, where The Duke spoke about his own experiences as an Air Ambulance Pilot. The Duke met international leaders at Davos before departing, including Queen Máxima of the Netherlands and German Chancellor Angela Merkel.